With the introduction of standards such as standard business reporting (SBR) and the introduction of eInvoicing, companies now need to submit business documents electronically and in the mandated format to Government. 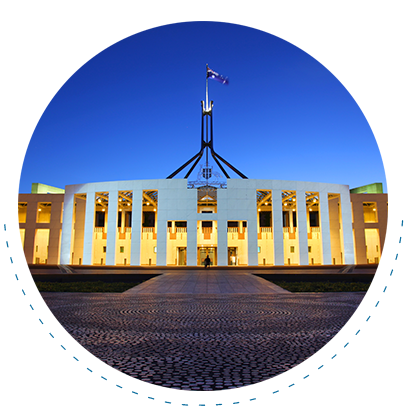 MessageXchange hosts one of the only Australian Government accredited ebMS 3.0 AS4 gateways to the ATO and other Government departments. Our gateway connects to your current systems, whether it be your enterprise resource planning (ERP) system, accounting package or other system straight to Government. MessageXchange can enable your business to become compliant. By using a B2G gateway on the MessageXchange cloud service, you can connect and exchange messages with Government as if you have a gateway hosted on your network. Save time, money and resources, as you won’t need to buy any hardware, software or run a project to build and operate a compliant gateway; we’ve done it all for you. You simply switch it on and only pay for what you use. Our B2G Gateway provides the messages, maps and standards so you are fully compliant but also with the utmost security to ensure confidential business documents remain safe. MessageXchange gateways are hosted in Australia and come with a guaranteed service level and proven reliability. A MessageXchange ebMS 3.0 AS4 Gateway allows your business to exchange messages between trading partners, financial institutions and Government. It electronically links your software to your business partners’, so that you don’t have to change your processes or infrastructure. Our team start on development.